Rating: 6.1/10. From 71 votes. Summary: The description, specs, photos, pricing and user ratings for the SIG Sauer P226 Extreme pistol. SIG Sauer says it P226 Extreme is tricked out with all the features a shooter could want, from short reset triggers, front cocking serrations to custom grips and more. 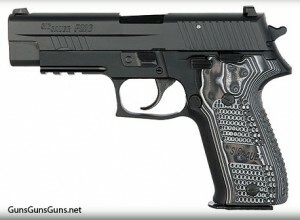 The P226 series pistols are built on an alloy frame. The Extreme is chambered in .40 SW or 9mm. 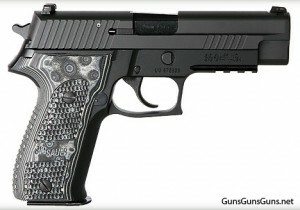 This entry was posted in .40 SW, $1,001-$1,250, 9mm, Full size, Semiauto, SIG Sauer on May 13, 2011 by Staff.